The mandala has reappeared in cultures and traditions throughout history, and the design and pattern it takes are often informed by the intended meaning of the piece. There are a number of traditional symbols used in mandala art that hail from Buddhist and Hindu imagery but many modern forms of mandala have begun incorporating modern takes on traditional symbols. In both modern and traditional usage, there are certain components of mandalas that hold deep symbolic meaning. Perhaps the most important element of the mandala is the central point. In ancient Greek and Roman traditions this central point often signified the self. In Hindu and Buddhist traditions, the center represents the beginning point of contemplation of and devotion to the divine. Traditionally, mandalas have been used in religious practices as both a form of meditation and as a way of connecting with a spiritual being. In the Hindu religion, the mandala has such significance that most holy locations and temples are built using a mandala as a blueprint or template. Therefore, each tradition typically utilizes particular symbols that are relevant to the culture. Yantra: For the Hindu religion, the Yantra is a repetitive mantra that generally relates to spiritual deities. 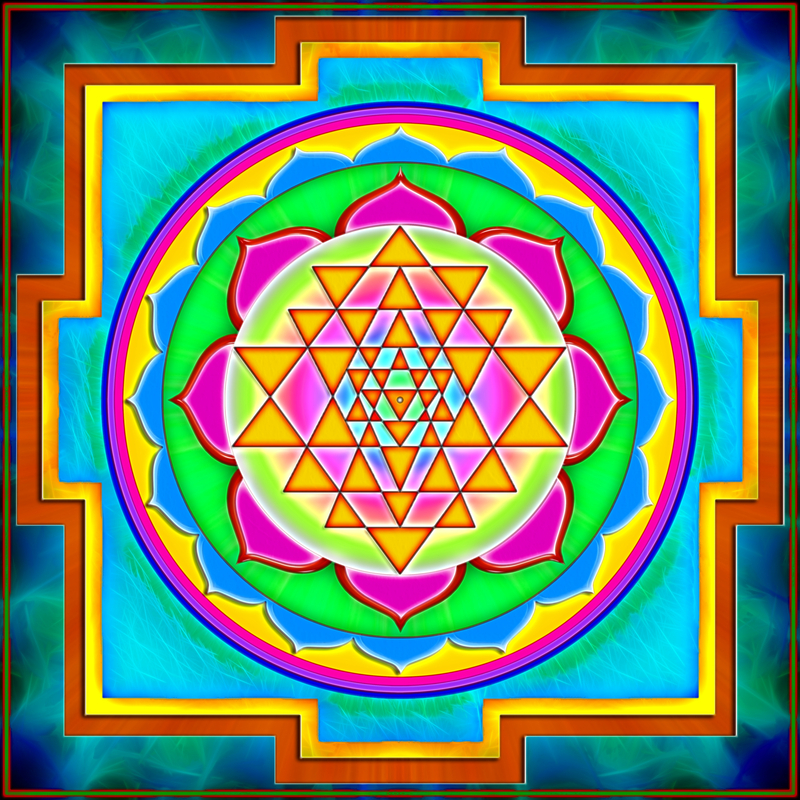 Therefore, when used in mandalas, the Yantra takes the form of a geometric pattern – typically a circular shape within a square – which is meant as an embodiment of a particular deity. Celtic: Celtic imagery hails from Western European nations, typically in the regions of Britain. 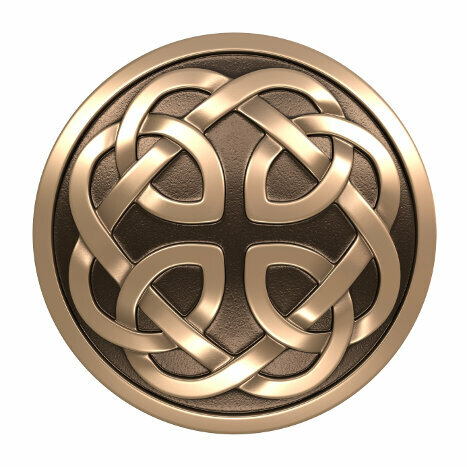 Celtic designs are often symbolic of unity, balance, and energy. The Celtic cross is one of the most well-known symbols and is representative of the transition between heavenly and earthly realms. Wheel: The wheel shape lends itself to mandalas because of its circular nature. However, the wheel also holds deep meaning in Buddhism, as it represents the circle of life and embodies the process of finding enlightenment. In Native American cultures, the wheel is often used as a symbol of the connection between man and nature. Lotus: In Buddhist traditions the lotus is one of the most significant symbols. The lotus flower is a symmetrical shape, and, therefore, can be connected to balance and unity. However, it also holds significant meaning related to purity and connection with the divine. Vajra: The Vajra is a ritual object that has profound meaning in Buddhism and Hinduism. The Vajra is often used to represent conviction in beliefs and a strong spirit. In a modern context, mandala symbols are often derivative of traditional designs and typically relate to the same properties of connecting an earthly realm with a spiritual or enlightened one. Nowadays, the meditative power of mandalas has made them popular forms for coloring books for people of all ages, and the symbols used are often less specifically related to divine contemplation and instead, are often universal images that transcend cultural and traditional meanings. Sun: The sun has long been a symbol used throughout history, and because of its universal presence, continues to be a popular basis for mandala patterns. A sun symbol can represent the universe, and often carries meanings related to energy and life, as the sun supports growth and sustains life on the planet. Heart: Heart symbols are also universal, and, therefore, often used in a modern context. Hearts are most often symbolic of love and devotion, but since the heart is also an essential organ in living beings, it can also be related to life. Tree of life: The tree of life draws on meanings related to life and growth. Each part of the tree holds a different meaning; the roots are often stabilizing or grounding forces while the leaves can represent both strength and aspiration. Animals: Animals can represent a variety of different meanings depending on the characteristics of the creatures depicted. Again, because animals are universally recognized, they are popular in a modern context because they are secular symbols that are known regardless of religion or culture. Labyrinth: While the labyrinth design has been important to historical traditions from Greco-Roman to Native American, the pattern has remained popular in modern usages. Labyrinths often represent a path or journey that culminates in a feeling of wholeness and enlightenment. While labyrinths are often improperly labeled as mazes, they actually have very clear paths from center point to edges.